Playseat has built an F1 racing simulator seat rig! It is about time someone built something like this that a regular person can afford. It looks really fresh and I can’t wait to try it out but I will be waiting for a while. While it comes out in Europe this year we will have to wait until 2012 for this rig to be released here in the states. That part is kind of a bummer but it looks like it will be worth the wait. 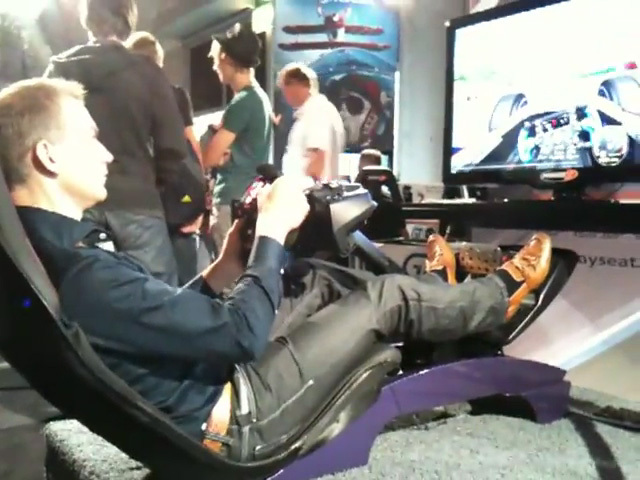 Check out the video below to see the Playseat F1 racing simulator in action. While you’re watching, if you identify the steering wheel that the guy is using in the video please let me know in the comments! Looks to me like an Arc F1 wheel in the video.